WELCOME BACK. One of the fastest ways to get to the top of the corporate ladder in life is to discover who you are and the ability to do things well. If you take the time to discover what you are meant to do in life, it will save you years of wandering around in futility. It’s also interested to note that the pathway to your destiny begins with a dream in your heart. It starts with the picture of a better future, the picture of a better life. Your future or destiny is not with anyone. It’s in your dream. A dream is what you see yourself becoming or possessing. It’s a very vivid representation of the future in your mind. 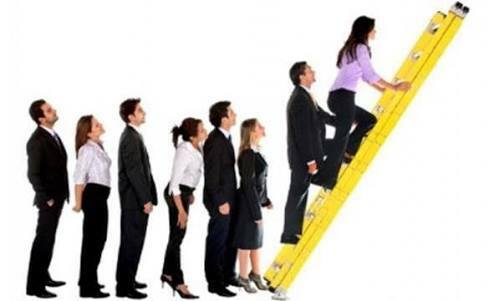 You’re meant to be at the top of a corporate ladder of your chosen field. Greatness begins with that. There is something about a dream that causes the machinery of greatness to awaken within you. Find out from any successful person how he got to where he is and he will tell you that he had a big dream which he pursued diligently. Success doesn’t just happen, it begins as a dream in your heart. Without that dream in your heart, success won’t be possible. The dream in your heart is the guiding light that leads you to the top of your career. Many people today are wasting their lives because of lack of practical idea of what they ought to do with their lives. They are bartered chantered scartered and confused in life. They try their hands on so many things and end up frustrated. My dear reader, begins your journey of success and move in the right direction to your destiny, it pays to follow right direction, clarify that dream in your heart. Bring out your journal. Write down the dreams you had as a child. What did you want to be, do, become, possess or achieve when you grew up? What dreams have followed you through life? What dreams float in and out of your consciousness daily? What dreams go to sleep with you and wake up with you in the morning? What do you see yourself doing that you have never been bold enough to share with anyone? That might be a clue to your abilities. It’s said that your daily agenda determines your success. Remember, the starting point of your dream achievements is to properly document it. Documentation of your vision or dream is powerful key to pursuing and attaining your success. You belong at the top. Thank you for reading to this end, see you again on Monday morning for another interesting and soul uplifting spiritual and universal principles. Don’t miss it. Make your comments below or visit our site @ http://www.wizzymedpower.com to “share” or “like” this post. Dreams are all well and good. But it takes hard work to turn them into reality. Yes, that’s the price to pay… thanks so much for your expression and contribution… Remain bless..